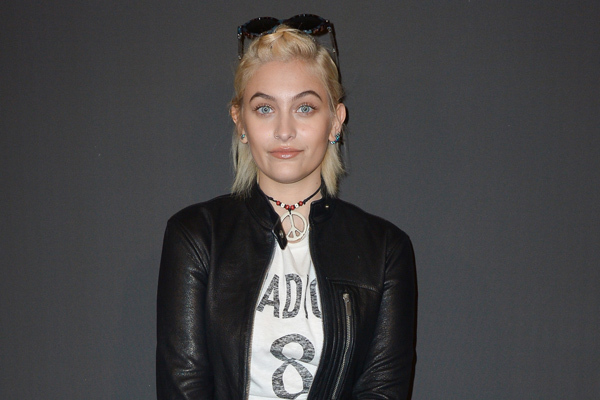 Well, it’s official, Paris Jackson has become fashion’s newest IT girl overnight. After stepping out during the Paris Fashion Week last week, Jackson has clearly made a splash in the fashion world. Michael Jackson’s only daughter, has been flying under the radar in the modeling world, but as of this past week’s Paris Fashion Week, she is a MAJOR star. The 18-year-old model made her fashion debut in France by attending multiple fashion shows and spending a lot of time with some of the industry’s biggest names. While Jackson didn’t walk in any of the shows this time around, she was in the front row for some of the biggest labels. On Friday, she spent time with the newest Victoria’s Secret Angel, Bella Hadid, after attending the Givenchy Menswear Fall/Winter 2017-2018 show. The blonde beauty could definitely fit in with the model crowd in her all-black ensemble. On Saturday, Jackson again sat front row, this time at the Dior Homme Menswear show. 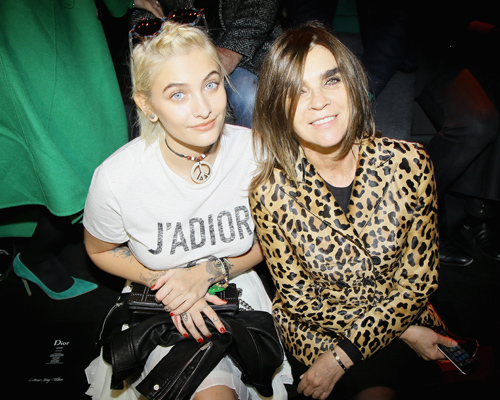 She was all smiles sitting next to former Vogue Paris editor-in-chief, Carine Roitfeld. The edgy model also stopped to have a chat with Boy George that evening and she looked totally star struck! Before attending any of the fancy shows, Jackson did a little modeling herself in the heart of Paris. She posed as Madonna for her rumored campaign at the Eiffel Tower, and she looked fabulous. Welcome to the fashion world, Paris!